The type of bathroom tap you need depends on your home’s water pressure. If you have a low water pressure home, you have to pick bathroom taps that can work with your weak water flow. And this might be hard to do if you don’t know what you’re looking for. Keep reading to learn everything you need to know about buying low-pressure bathroom taps. Water pressure is the force that carries the water through the pipes and into your tap. This affects the amount of water that comes out of your tap when you turn it on. Homes with high water pressure get a strong flow of water. Homes with low water pressure get a weak flow of water. Several things determine your water pressure. For example, people who live close to a dam will have better pressure than people who live farther away. Properties with a high ground level will have weaker pressure than lower homes. The water pressure can also change depending on how many customers are using the water supply. You might experience weaker water pressure in the morning when everyone is showering and getting ready for work. But a large part of your water pressure will come down to the type of water system you have in your home. There are several different types of water systems, and depending on the type you have in your home, your water pressure can change. While newer systems, like the unvented system, have high water pressure, some systems leave homes with low water pressure. Here’s a quick look at some low water pressure systems and how they work. A gravity system has a storage tank for cold water and a hot water cylinder in your loft. For this system, the force that gets your water flowing is gravity. That means the pressure depends on how high the tank sits above your taps. Upstairs taps will have worse pressure than downstairs taps. This type of system controls your cold water, your hot water, and your central heating. It sits in your kitchen where the water enters your property. This allows it to heat up the regular water when you want hot water. When you aren’t using hot water, a combination boiler stops heating, and the water stays cold. Many combination boilers have good water pressure. But if you don’t have a quality combination boiler, your water pressure might not be as strong. So why are these water pressure systems important? Every type of sink, bath, or shower tap has a water pressure rating of something between 0.1 and 3 Bar. Ever 0.1 Bar can carry water up 1 meter of pipe. So a tap with 1 Bar water pressure has enough force to raise the water 10 meters. The lower the bar rating, the lower the water pressure. Let’s take a look at the gravity system again. If your water tank is 2 meters higher than your upstairs taps, you’ll have water pressure of 0.2 Bar. The highest water pressure gravity systems provide homes is not often higher than 0.5 Bar. Combination boilers, on the other hand, can have a water pressure of 1 to 1.5 Bar. This type of system has a reading on the front that’ll show you what pressure you have. Some taps require a minimum water pressure to function. If you have low water pressure in your home, you can’t just go out and buy any tap you want. The best way to buy low water pressure taps is to ask the retailer a lot of questions. They’ll be able to tell you the water pressure rating and whether the tap will work for your home. Low water pressure taps will have a Bar rating between 0.1 and 0.5. Anything with a higher rating may not work with your water flow. 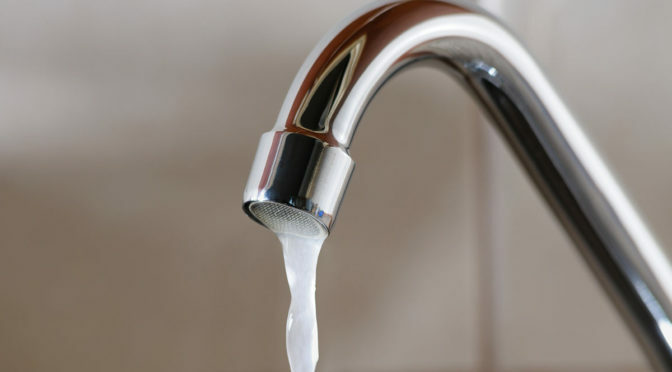 Living in a home with low water pressure doesn’t mean you have to buy bottom-of-the-line taps. Low water pressure taps can look just as sleek and modern as high water pressure taps. In fact, there are many different options to choose from. Here’s a quick list of some of the best bathroom taps for homes with low water pressure. Waterfall taps are beautiful and elegant. You can find them in various sizes, which makes them a good choice for small bathrooms that don’t have a lot of space. Because many waterfall taps have a minimum water pressure rating of 0.2 Bar, you can install them in homes with even the worst gravity systems. If you want an easy bathroom update that still looks high-end, you’ll want to choose a basin mixer tap. Though they’re simple, they’re still eye-catching. You can use basin mixer taps in any way you want. They work for standard sinks or free-standing basins. Depending on the type of basin mixer you’re looking at, you can find them with a Bar rating as low as 0.2. Swan neck basin mixer taps have a classy design. Because of their high, arching shape, they’re an excellent choice for shallow sinks that might feel cramped with other tap styles. These types of taps do require a higher water pressure minimum of 0.5 Bar. This might not make them ideal for upstairs use. Wave taps are essentially basin mixer taps, but they have a sleek design. While the bodies are square, the spouts are elegant and curved, like a wave. This tap is the perfect fit for a modern bathroom. Like many of the other taps on this list, you need a minimum water pressure of 0.2 Bar to install this tap. When you’re buying a low-pressure tap, you have to make sure they have the right Bar rating for your home. A tap that needs a 0.5 Bar rating won’t work if your home has a 0.2 Bar rating. If you don’t know what your water pressure is, have a plumber take a look at your home before you do any shopping. Ready to upgrade your bathroom taps? Take a look at some of these low water pressure choices. Previous PostThe Ultimate Guide to Freestanding and Clawfoot BathtubsNext PostBath Sizes: What Is the Ideal Fit for Your Bathroom?